Leather from Bison has a very rustic and natural look and feel. The head, front legs and shoulder are covered with long hair on the live animal, while the rest of the fur is much shorter. 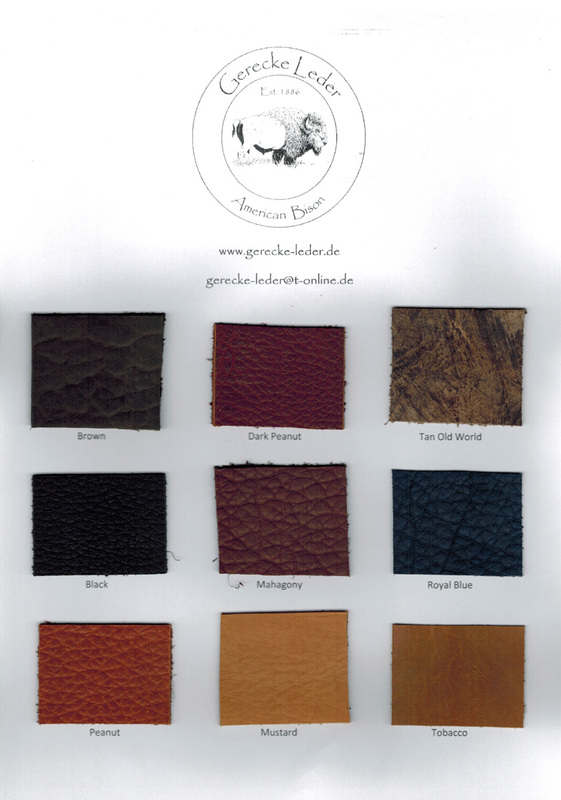 This different structure therefore also characterizes the Bison leather, which is also very soft and resistant! We only process Bison from farm raised animals. By this animal husbandry, the stock of bison has recovered vigorously. By strong hunting the stock had fallen to less than 1000 animals in the late 19th century,. But now, in addition to the 25 000 animals in the wilderness, more than 200 000 live in large farm herds. 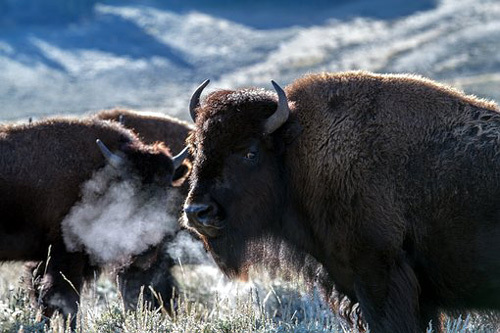 Through this conservation efforts the bison are not endangered any longer and the hides are a by-product of the meat industry.